Sourcio is a software development and system integration service provider since 2005. 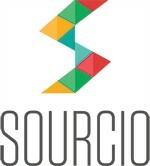 Sourcio is a team of young, passionate and talented professionals, who provide high quality IT services to a wide range of clients in North and South America, Europe and Armenia. Our team has broad experience in various domains, latest technologies, software engineering principles and methodologies, tools, techniques, and guidelines. We strive to reach client satisfaction in the products and services that we deliver, continuously exceeding client expectations. Our professionals pose strong knowledge and experience in various Project Management methodologies, such as iterative (Spiral model, RAD, RUP), agile (SCRUM, DSDM, XP) and traditional Waterfall. Our experience working with multicultural, distributed global teams, complex and problematic projects in Enterprise, Web and Mobile ecosystems, as well as in SaaS and B2B across various technology platforms makes us ready for the most complex projects.